Porcelain veneers are designed to match the color of the teeth and cover the surface of any damaged, short or otherwise unaesthetic teeth. They are essentially porcelain shells that will fitted to the teeth by the dentist so that the patient will have a bright and beautiful smile. Porcelain is an excellent choice of material for veneers because it is resistant to usage and stains, it is well tolerated by the gums and it has the property to reflect light in much the same way as a natural tooth would. Veneers are an easy way to change the appearance and color of the tooth and they are an aesthetic and durable alternative to dental crowns. Porcelain veneers have aesthetic purposes and they are used in cosmetic dentistry. Patients at our dental clinic in Romania will usually request this type of veneer because the overall costs for the material and the fitting are more affordable than in other countries. 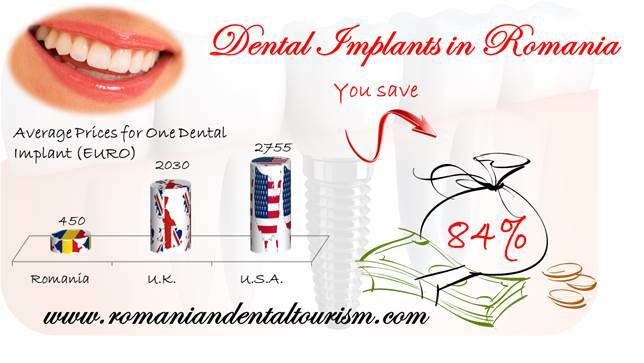 Compared to the United Kingdom or Germany, porcelain veneers are more affordable in Romania and are sought by dental tourism patients. - to correct the spaces between teeth. In order to be able to place a porcelain veneer the dentist will need to prepare the tooth or teeth: he will remove a very thin layer of enamel from the tooth’s surface, an amount equal to the thickness of the veneer that will be placed above. The dentist will then need to make an impression of your teeth in order to construct the porcelain veneers. 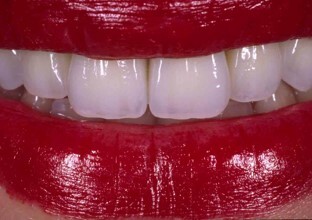 While you wait for the permanent ones, the dentist will fit a set of temporary veneers if necessary. 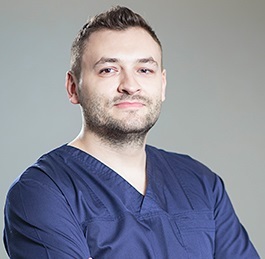 Our dentists in Bucharest work with the best materials and our dental technicians will design the perfect veneers for you. Before the final placement, the dentist will always make sure that the veneers match the color or the teeth and that they fit perfectly. A good candidate for porcelain veneers is a patient who has good oral health, no periodontal problems and who has enough healthy enamel. Porcelain veneers can last between 5 to 10 years and the patient does not need to pay special care to then, apart from the normal dental hygiene routine. Because the process is non-reversible you should talk your decision through with a dentist. You can contact our dentists in Bucharest for more information about porcelain veneers and other options for cosmetic dentistry.